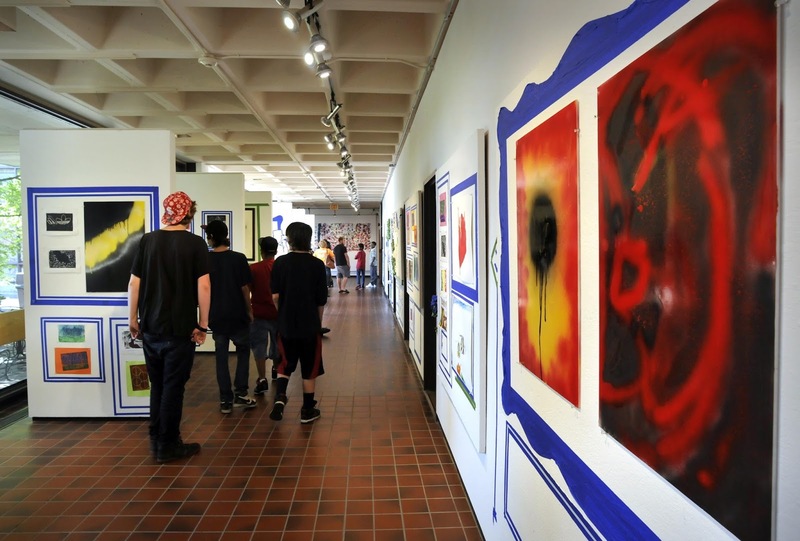 The Higgins Education Wing will exhibit artwork created by young artists who have participated in Arts Alternative, a partnership between the Worcester Juvenile Courts and the Worcester Art Museum. On view from January 28 – February 25, 2017, the exhibition features a wide range of visual practices, spanning many genres and media. This collaboration provides extraordinary opportunities in the arts to court involved youths. Such as hands-on activities, working from primary source material in a museum setting, and opportunities to exhibit their creativity in a community setting. The youth, some of whom live in foster or group homes, come once a month to WAM for two hours, spending time in our galleries and studio. Fiona Ryder, a juvenile probation officer who created this initiative, said the court usually asks youth what their hobbies are. Although there are a lot of sports programs, the court didn't have anywhere to direct budding artists. "I think a lot of the young people that come through the courts are extremely talented and haven't had an opportunity to explore that talent," she said. "My hope is they have a new avenue to pursue, and they have new interests, and they have a better self-esteem." The exhibition is free and open to the public. The Higgins Education Wing is open Sunday–Saturday, 9am-5pm.